Darius Wey reminded me of his post from back in 2008 about Nokia releasing a Windows Mobile phone - sure, it was an April Fool's Day post, but even back then I felt Nokia would one day be Microsoft's partner. The world has been moving toward consolidated smartphone platforms for years now, and I felt it was only a matter of time until Nokia partnered up with Microsoft. Back then Android didn't exist yet as a viable platform, so it was almost their only option. They could have gone with Android, but the question is could they have stood out amongst all the competition? In Microsoft they found a partner that was willing to work with them. I look forward to seeing what happens with this partnership this year and next. It is most definitely a better partnership for Microsoft than it is for Nokia. But Nokia can get a lot out of it. The bad thing is that it basically takes Nokia down to just a phone manufacturer like Asus, HTC, LG, etc. But that's also the good thing, it will allow Nokia to remain in the market and continue to be able to work on their next OS, being MeeGo or something else without worrying about a dwindling marketshare on an older OS. After all, they didn't want to adopt Android as a stopgap, because they are still planning on finishing their own next gen OS. But a partnership with Microsoft gives them the money to do just that. Tide them over until they get back on their feet, and if they don't, Microsoft can buy them. After all Microsoft is really good at spending money until they get what they want, look at the great success of the XBOX. Maybe WP8 will be a behemoth. I was thinking that Nokia could save Microsoft's business clients. 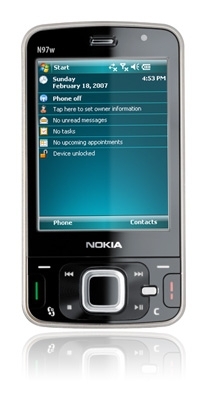 The current batch WP7 phones are more individual based, but if Microsoft allows Nokia to focus more on corporate clients, we could have a new form of Blackberry on our hands..